All boxes are supplied flat packed. 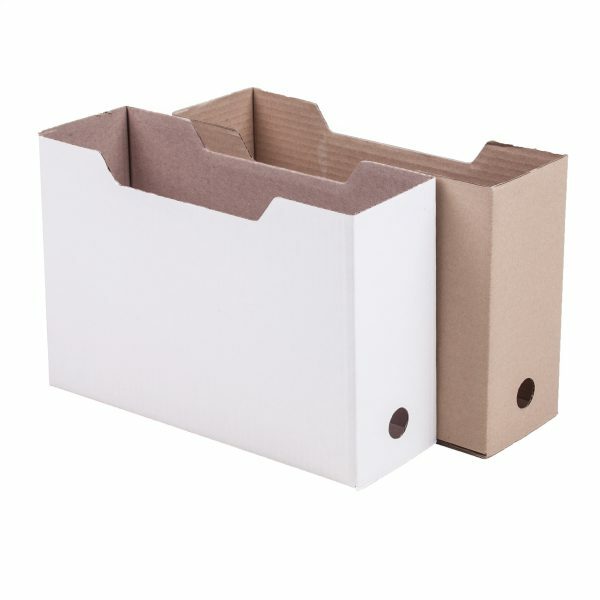 The Open File Box is also made for files and paperwork and can be used ideally for temporary filing. The box which has one side open makes it easy and quick to see where the files are located, thereby creating an ideal temporary filing storage unit. The open file box also includes a name tag for file description on the side.